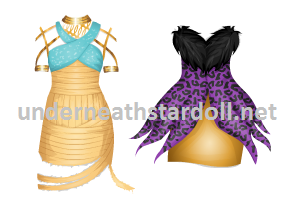 If you are from USA, you will see the advertisement of the dresses at the front page, just click on the dresses or at the blue tag that says FREE GIFTS and you will be redirected to a Monster High Prom page, now you can close the tab and the dresses will be at your suite. Now, if you are from anywhere else, you need to use a proxy. Done. The freebies will be at your suite in a while. You will be redirected to the Monster High page. Close that window. Done!! Get rid of the manual proxy! !